This little guy is Romeo. 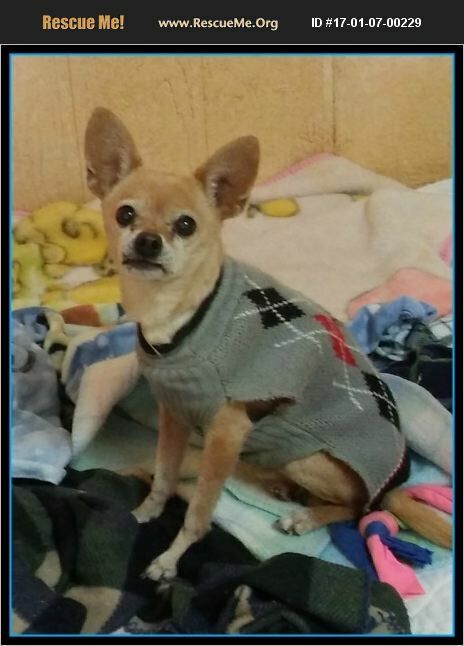 he is a 12 year old, chihuahua, and weighs 6.2lbs. He was rescued from the Lancaster shelter after spending over two months there being over looked. He is very new too us, and we are learning more about him daily. Please call 818-994-8138 or email poochheavenvolunteer@gmail.com for more information.